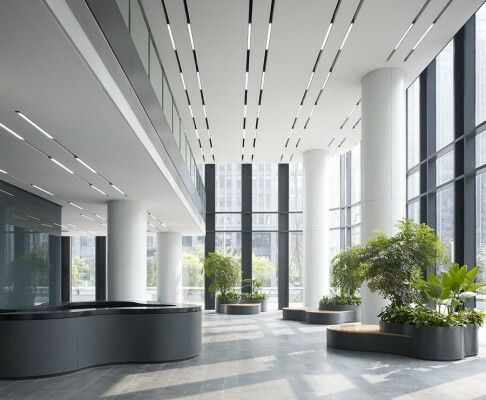 At the beginning of 2015, the Dayuan International Center was completed in the western Chinese business metropolis Chengdu to plans by the architects von Gerkan, Marg and Partners. 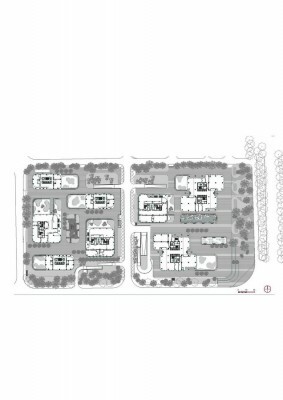 The urban ensemble comprises buildings for housing, working and commerce. 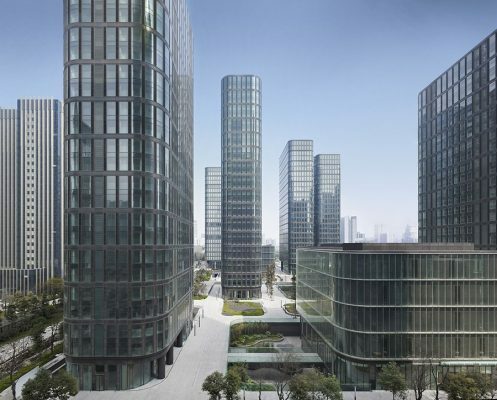 It is part of the Chengdu Hi-Tech Zone development area to the south of the provincial capital. Its differently dimensioned building types create a uniform urban precinct with consistent materials and façade designs, producing an attractive exterior space continuum in a high-density urban context. 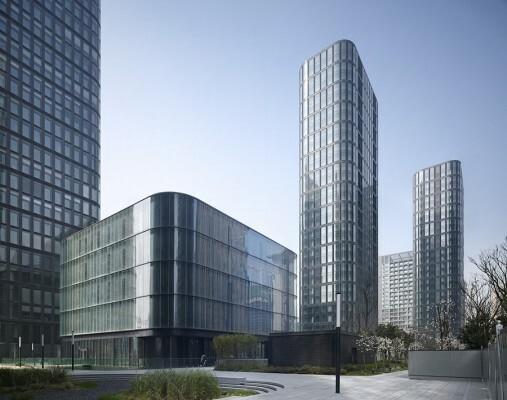 The Hamburg architectural practice was the winner in a limited open architectural competition and, in 2010, was commissioned with the design and construction of the Dayuan International Center. Chengdu has the reputation of a „green city“ and is one of the Chinese mega-cities with the best quality of life, which is also based on a culture of public life in the external urban space. The architects’ objective for the design of the building ensemble was to replicate this quality of a pulsating metropolis by offering a multi-faceted arrangement of spaces and buildings. The human scale and the sequence of attractive public spaces, both in the interior and the exterior, generate an integrational precinct which, with its own identity, develops its attraction as a landmark beyond the precinct itself. 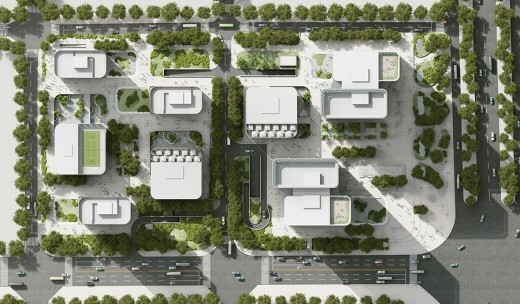 The complex is located along one of the central traffic axes, Tianfu Avenue. It comprises buildings of different dimensions. Square freestanding blocks with up to four stories alternate with high-rise buildings in such a way that, in spite of the urban density (with a gross floor area of 192,000 sqm), an interlinking network of varied exterior spaces is created. 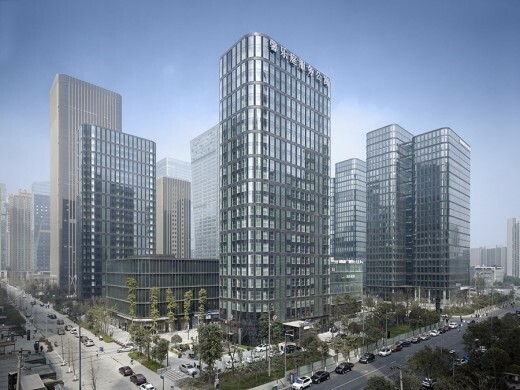 On the eastern site, two office towers offset from each other form an inviting plaza, as well as the address for the city precinct along Tianfu Avenue. On the quieter part of the two sites, away from the road, are three slender apartment towers. The outside space between the high-rise buildings is subdivided by three square buildings. They accommodate shops and restaurants serving both the needs of the office workers and those of the residents. In the context of the special importance of the external space qualities for a well-functioning city quarter, the landscape design received special attention. In addition to the changes in spatial dimensions, diversity with different atmospheres was created by gardens with a variety of landscaping themes using bamboo, turf or water features placed at different levels into the ground. This relief of gardens and squares contributes to the unmistakable identity of the ensemble. A separate system of roads and pathways ensures that the precinct is pedestrian-friendly, making it conducive to taking part in open-air activities. 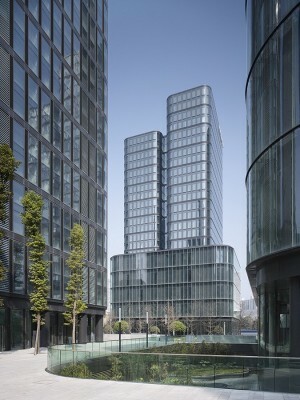 The office towers have been built with a double façade with natural back-ventilation, offering improved climate protection and sound insulation along the noisy roads, while also providing natural ventilation to the offices via the gap between the façade layers. In spite of different façade constructions for the towers, i.e. double- and single-skin façades which correspond to the different functions of housing and working, the identical structuring and materials combine the two tower groups into one conceptual unit that is visible beyond the boundaries of the site. 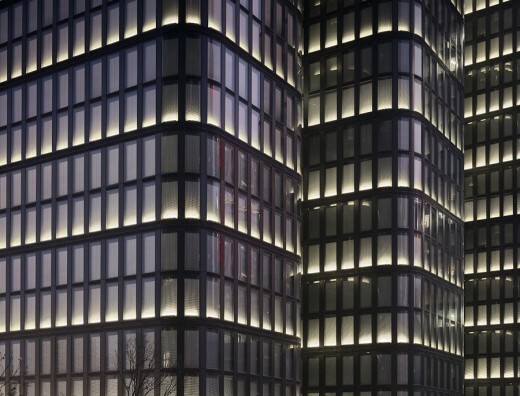 Another shared feature are the rounded edges of the buildings, which allow better lighting of the west and east façades of the three south-facing high-rise buildings. 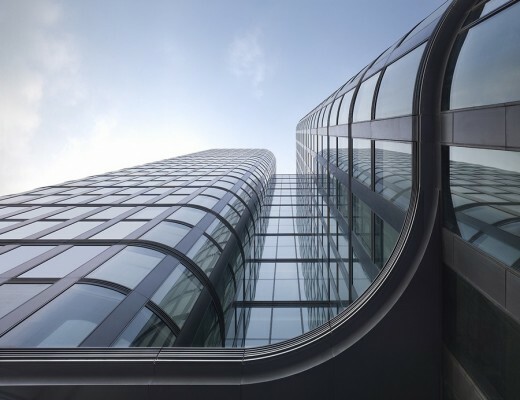 The basic underlying structural clarity of the buildings and façades makes it possible to apply a high degree of variation to individual buildings. This creates variety within unity, which constitutes the unmistakable identity of the precinct while connecting it with its urban environment.